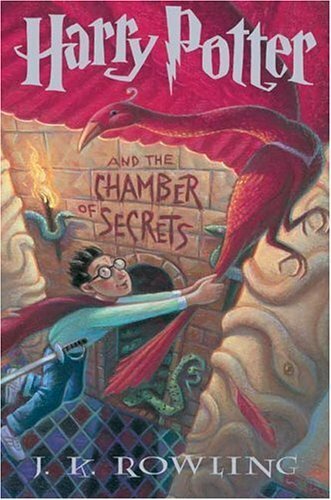 Harry Potter and the Chamber of Secrets, is the second novel in the Harry Potter series written by J. K. Rowling. It continues the story of Harry Potter during his second year at Hogwarts School of Witchcraft and Wizardry. In the novel, the mysterious attacks on students and the disembodied voices that Harry hears, lead him down into the Chamber of Secrets, to battle the heir of Slytherin. The book was published on 2 June 1999; it subsequently won the notable Nestlé Smarties Book Prize in the age 9–11 category and was named the British Book Awards’ Children’s Book of the Year.